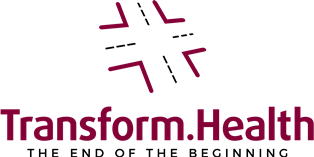 Below is the blog post on Linkedin of Tom vd Belt, one of my team members at the REshape Center Radboud University Medical Center about a project dear and near to my heart: empowering patients. Traditionally, ‘patient participation’ in scientific research was mostly limited to being a ‘study subject’. This is a pity since patients are – as described by Ian Kennedy – the ‘experts’ in their own field, or ‘the experts in having a disease’, with expertise that is impossible to obtain for researchers. Moreover, they are often the end-users of new therapies or technologies. The benefits of active patient participation in research have been well described and the leading British Medical Journal requires researchers to describe how patients are involved in various research stages. In this article, we proudly present “REach”, the tool that allows anyone (patients, patient organizations, physicians, and nurses), to easily set up an observational study and collect rich ‘real life’ data.